Nvidia will soon ship a new model of the Tegra Note 7 tablet with LTE wireless connectivity and Android 4.4.2 OS code-named KitKat, with the device priced at US$299. The tablet has a quad-core Tegra 4 processor and 16GB of storage. The tablet will become available worldwide in the second quarter, Nvidia said in a blog entry on Friday. 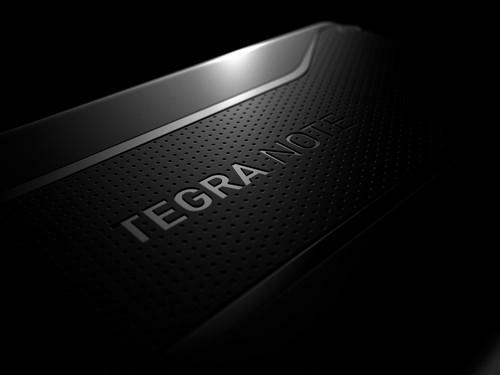 Tablets with LTE are largely sold through wireless carriers, but the Tegra Note 7 will be available without a contract. The tablet is priced favorably to Google's Nexus 7, which has 32GB storage and a quad-core Qualcomm Snapdragon processor, and is sold through T-Mobile and AT&T for $349. The Tegra Note 7 with LTE has a run time of 10 hours on a battery charge, according to Nvidia's measurements. It has a 1280 x 800-pixel screen, 5-megapixel rear camera, 720p front camera, micro-SD slot and micro-HDMI port. The tablet will work on the 700MHz, 850MHz, 1700MHz, 1900MHz, 2600MHz frequencies in the U.S., and the 800MHz, 1800MHz and 2600MHz spectrum in Europe. The tablet uses a software-defined modem based on technology from Icera, which Nvidia acquired in 2011. Nvidia is offering the Tegra Note 7 tablet as a way to highlight its Tegra 4 processor, which has not been considered a success. The chip has appeared in a few tablets like Microsoft's Surface 2 and Hewlett-Packard's SlateBook X2, and the company last week reported that Tegra revenue in the most recent fiscal quarter was down 37 percent year-over-year. The strong graphics capabilities stand out in Tegra 4, but can also be a drawback. There is a demand for longer battery life in mobile devices, and heavy graphics can consume a lot of power. Nvidia last month announced the successor to Tegra 4 with the Tegra K1, which will appear in mobile devices in the second half of this year. The first mobile devices with Tegra 4i, which has an integrated software-defined LTE modem, will be announced this quarter. Nvidia also upgraded its $199 non-LTE Tegra Note 7 tablet to KitKat, with updates being delivered over the Internet.